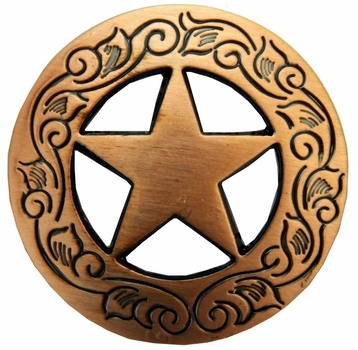 Texas Ranger Gold Star With Bright Copper Finish And Engraving. Chicago Screw Back. No Sales Tax Unless Shipped To CA.